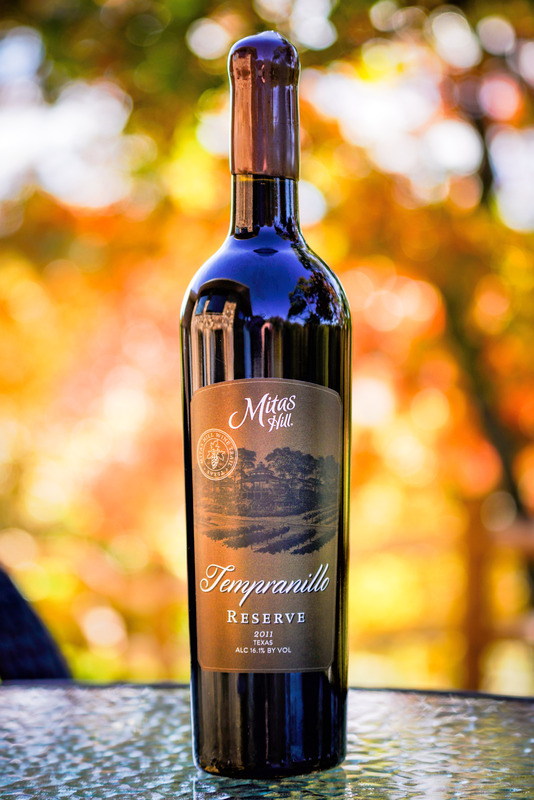 Our Tempranillo Reserve is a dry, pretty ruby colored wine with aromas of strawberry, cassis, notes of tobacco, and vanilla over a similar palate of red berries, spice and a hint of tobacco. This is our signature wine. It is hand crafted with 100% Tempranillo grapes from Mitas Hill Vineyard. Quickly becoming the grape of Texas, many wineries are now offering a Tempranillo wine. The state now grows over 1 million vines of this grape, and most of the stock is grown in the High Plains of Lubbock. Our wine is made with 100% Mitas Hill Tempranillo grapes, and we plan to keep our Tempranillo a Collin County product. The Tempranillo grape does well in the Texas heat, as it ripens without losing the complexity and tannin structure in the extreme climate. "The 2013 Reserve is a great follow up to our popular 2011 Reserve. It has the benefit of having been aged for over 36 months in French oak barrels."